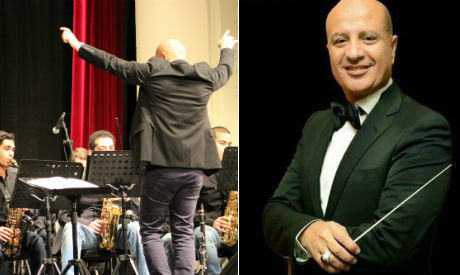 Last month, conductor Magdy Boghdady was appointed head of the Artistic House at the Cairo Opera in a decree issued by Magdi Saber, chairman of the Cairo Opera House (National Cultural Centre). The post, which is equivalent to Artistic Director of the Cairo Opera, focuses on extending support to companies operating under the Opera’s umbrella across all its venues in Cairo, Alexandria and Damanhour. The Artistic House oversees the activities of companies such as the Cairo Symphony and Cairo Opera Orchestras, the Cairo Opera Company, Cairo Opera Ballet Company, Cairo Opera Choir, Alexandria Opera Chamber Orchestra and numerous smaller ensembles. The Arabic music ensembles fall under the supervision of another body. Over 30 years in the Opera’s history, numerous musicians have headed the Artistic House. They include bass-baritone Reda El Wakil (2009-2017), later replaced by Magdi Saber. A ballet dancer and choreographer, Saber served as head of the Artistic House for a year but, since February 2018, he has also been the Opera’s chairman. Boghdady, a first conductor, trumpeter and jazz musician, graduated with honours from the Cairo Conservatory’s trumpet section in 1981 and continued his studies in Frankfurt, Germany, where he obtained a PhD. Upon his return to Egypt, he became an assistant professor at the Cairo Conservatory, and later the head of the wind instruments department. Between 1983 and 1997, Boghdady served as principal trumpet at the Cairo Symphony Orchestra. He also conducted the Cairo Symphony Orchestra on several occasions. In early 2006, he founded his own Boghdady Big Band, a 16-musician ensemble, which soon became a well-known jazz platform in Egypt, presenting original jazz compositions at many venues and taking part in a variety of local festivals. Boghdady’s entered the Artistic House at a point when the summer programming, including the Cairo Opera Summer Festival, the Citadel Festival etc, had already been completed. He will have a clearer role as of the new season in September. As he begins to elaborate on his dreams and plans, the word “happiness” marks many of Boghdady’s sentences. “Any performance or concert is a triangle of happiness. We have three parties: the orchestra, the conductor and the audience. For the art work to shine, all three need to feel happy. The conductor is happy when he is able to introduce new programmes and apply his vision, the orchestra is happy when they are given a new repertoire – it is a good challenge for them – and the audience is happy when the concert is interesting and of high artistic standards,” Boghdady explains, adding that the happiness triangle is applicable to all the companies. As he speaks about the trumpet and jazz, it becomes clear that Boghdady – as he himself puts it – is “a musician first”. Yet he is not too worried about the managerial challenges with which the Artistic House is presenting him. He points out the many managerial posts he has held alongside his musical career. Judging by the Big Band, he is certainly able to deal with managerial and logistical responsibilities. The same is true of his work at the Cairo Conservatory.